Superfine Printing's Three Hole Drilled Paper Guaranteed 99.9% jam-free. Designed for everyday use on all types of equipment including high- and low-volume printers and copiers, inkjet and laser printers, plain paper fax machines and offset printing presses. Performs for both single- and double-sided imaging. Global Product Type: Office Paper-White; Sheet Size (W x H): 8 1/2 in x 11 in; Paper Color(s): White; Assortment: N/A. Three Hole Punched / Drilled Paper. Performs for both single- and double-sided imaging. 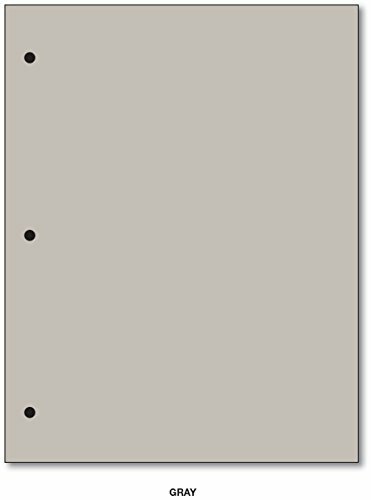 View More In Looseleaf Binder Paper. If you have any questions about this product by S Superfine Printing, contact us by completing and submitting the form below. If you are looking for a specif part number, please include it with your message.